One of the great mothers of Southmont has passed. Evelyn Marie Garner Trent of 721 Mobile St. Greensboro, NC died at Wesley Long Memorial Hospital on Tuesday the eighth. She was 100 years young. A memorial service will be held at George Brothers Funeral Service 803 Greenhaven Dr. at 2p.m. Saturday the 19th. 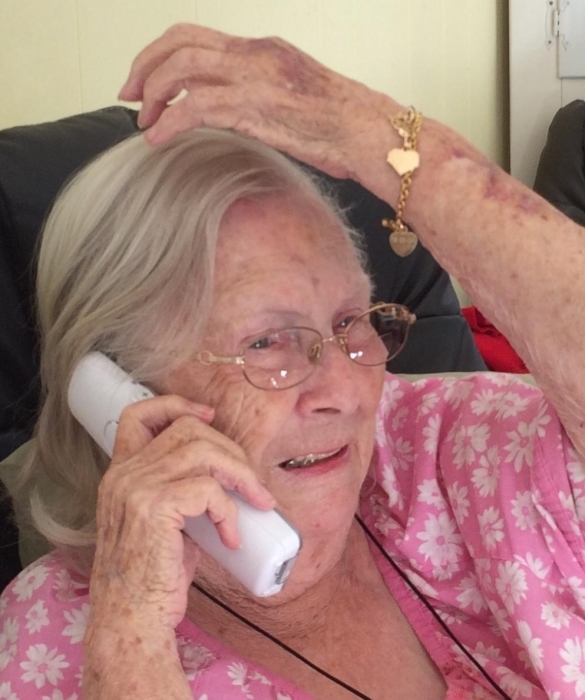 She was born in 1918 at the end of World War One and grew up during The Great Depression. She faced World War Two a 23 year old woman having lost a two month and a 4 year old son to pneumonia. This was before the advent of antibiotics. By the time 1960 rolled around she had a married daughter and five young boys at home. James died in 1965. She raised this crew, plus helped rear a dozen or so of their friends over the next decade or two. She worked at Vanstory Clothing Co. and Frankenbergers for 20 years, then another 22 years running the lunch program at Hall Towers for Senior Services. She retired in 2010 at 92. The Greatest Generation indeed. Evelyn is survived by her daughter, Phyliss Wilson, of Reidsville; sons, Kerry, Glenn, and Alan, of Greensboro; and son, Kevin, of Pleasant Garden. The grandchildren are Cheryl, Steve, and Charlie Brown, Casey and Minnde Trent, Vaughn Trent, Amber Trent, Stephanie Bowen, and Alyssa Prewitt. We believe there are at least 17 Greats and a few great greats. In lieu of flowers, memorial contributions may be made to LDS Lakefield Ward 3621 Lakefield Dr., Greensboro, NC 27406.